Painter. Born in Philadelphia, PA on March 8, 1856 into an upper class family. Encouraged by his family to pursue an art career, Cooper was further motivated by the art exhibition at the Philadelphia Expo of 1876. He initially studied at the Pennsylvania Academy of Fine Art under Thomas Eakins followed by further study at Paris at Academies Julian, Vitti, and Delecluse. 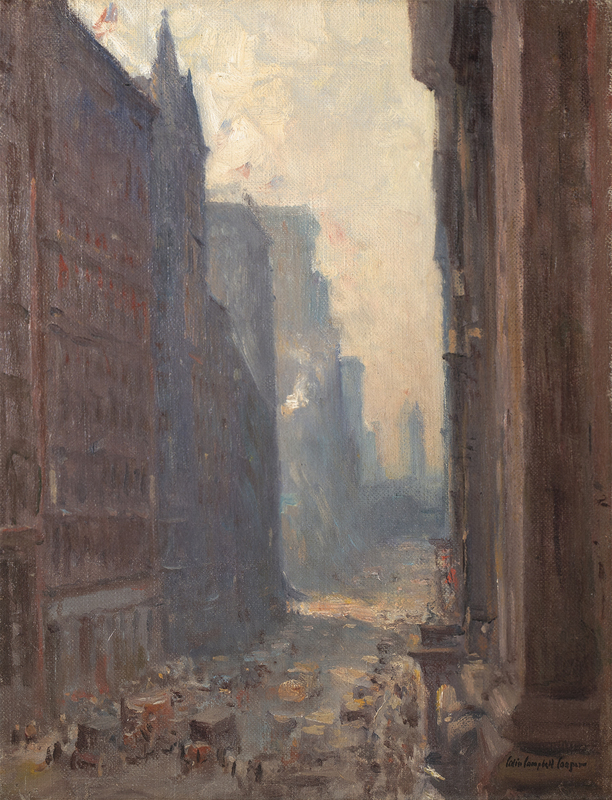 After working from 1895-98 as instructor of watercolor at the Drexel Institute in Philadelphia, he moved to New York City. An inveterate traveler, he made many trips to Europe, India (1913-14) and throughout the U.S. in search of subject matter. He first came to California to attend the Panama Pacific International Exhibition and spent the winter of 1915-16 in Los Angeles. 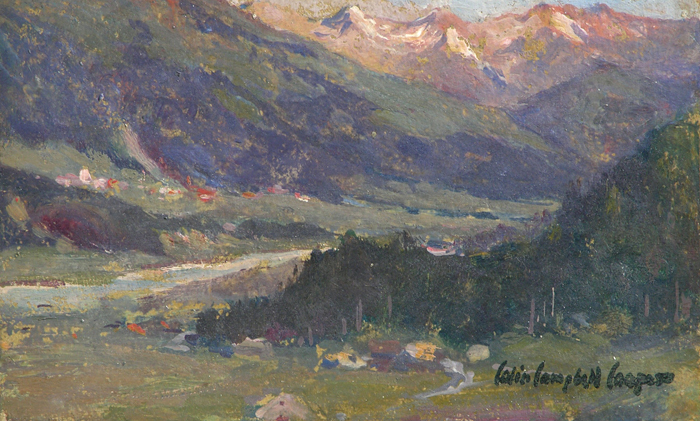 In 1921 he settled in Santa Barbara where he taught painting at the School of Arts. 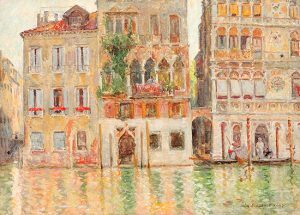 Member: California Art Club; American Watercolor Society; American Federation of Arts; New York Society Painters; Salmagundi Club; New York Watercolor Club; Santa Barbara Art Club, Associate of the National Academy of Design, 1908; Member of the National Academy of Design, 1912; Lotus Club; National Arts Club, New York; San Diego Art Guild; Philadelphia Water Color Club. 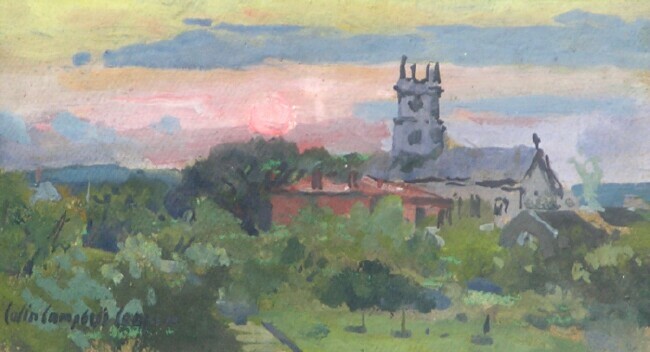 Exhibited: Atlanta Expo, 1895 (bronze medal); American Water Color Society, 1903 (Evans Award); St. Louis World Expo, 1904 (medal); Pennsylvania Academy of Fine Arts, 1904 (gold Medal), 1919 (prize); Philadelphia Art Club, 1905 (gold medal); Buenos Aires Expo, 1910 (silver medal); New York Water Club, 1911 (Beal prize); Panama Pacific International, 1915 (gold and silver medals). Works Held: Luxembourg Museum, Paris; Cincinnati Art Museum; Boston Art Club; St. Louis Museum; Cincinnati Museum; Dallas Art Association; National Arts Club, New York; Pennsylvania Academy of Fine Arts; Memorial Art Gallery, Rochester, New York; Oakland Museum (Palace of Fine Arts); Lotus Club, New York; San Diego Museum.